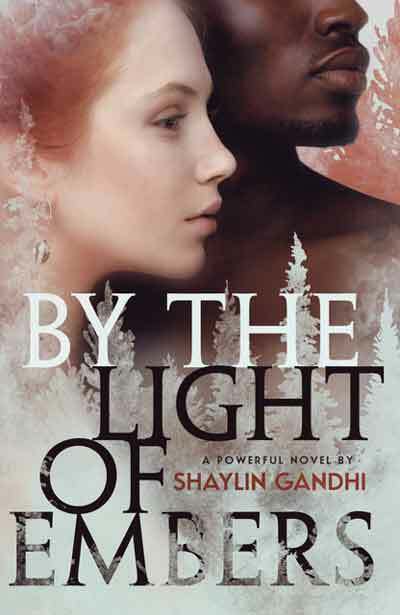 Shaylin Gandhi transports the reader to what can feel like another world but in fact is America during the summer of 1954. Set in Louisiana during the segregation of the races By the Light of Embers mixes romance with the racial tensions of the period to create a fantastic historical romance that leaves the reader hooked on every word. While creating a beautiful fictional narrative Gandhi doesn't fully detach from the real world as she includes actual historical moments, like the Supreme Court decisions and the Mason-Dixon Line, which creates a wonderfully immersive novel that just doesn't disappoint. The protagonist is extremely easy to connect with; she wants only the best for herself and those around her, without jeopardizing her own dreams. Her spunky determined yet extremely caring attitude will just make the reader fall in love with her instantly. The author has ensured that Lucia, the protagonist, has her own story, her own wants and desires beyond the romantic pathway she travels down. This is a refreshing addition to the historical romance genre, especially as Lucia's main dream and ambition is to become a doctor like her father. In a period where women are generally expected to fill one role, the housewife, the choice to have her strive for more is brave storytelling and adds another interesting and engaging level to the novel. Gandhi could have chosen an easier romantic pathway for Lucia, such as staying with her fiancé, but she chose to be brave and pair her with Nicholas, a black man. Wrapping the story around their love juxtaposed with the hatred the rest of the world has for his race and their coupling. Even though she is placed in a period that just wouldn't accept her love for a black man as a reader the overwhelming desire and hope is for them to achieve everything they want, to live a life together with true love. The author crafts a tale of forbidden love with parallels to some of the greats but her unique writing style and skill elevates the tale to new heights. By the Light of Embers starts in an unconventional way, this solidifies in the reader's mind that this novel isn't going to be a run of the mill historical romance. The beginning coupled with addition of a pen pal narrative between two unlikely blossoming friends makes this novel stand out against the crowd and a true delight to read. However, Gandhi doesn't stop there; rather than following the genre's trend and giving the reader a traditional happy ever after ending she gives one final twist and gives the reader an unconventional, yet still happy, ending. To say that the action and danger that runs throughout the book in nail-bitingly good just doesn't do it justice. Many a sleepless night will come from reading this book, the reader's telling themselves just one more chapter and devouring more and more of the tale. With bated breath they will read on, falling deeper and deeper down the rabbit hole and enjoying every moment of it. Overall, Gandhi's passion and creativity spills forth onto every page of this book and it has created a truly magnificent and brave narrative that will be remembered for years to come. She speared Kip with a glare. "Don't you dare be angry. She deserves this." Eyeing Danny again, she sighed. "I suppose I should've brought my camera, after all." SHAYLIN GANDHI secretly stole her mother's copy of Clan of the Cave Bear at age ten, and fell madly in love with love stories. Now, as an author, she still can't get enough, and the tales she spins all center around affairs of the heart. To her, that's what makes a story truly worth telling. Besides writing, she tries to stamp her passport at every opportunity. Traveling has been a lifelong passion, and she's lucky to have done it a lot. Shaylin and her husband once spent an entire summer living in their van while touring the Pacific Northwest, British Columbia, and Alaska. Her most memorable trips often tie in with writing: her books are usually inspired by majestic places that stole her breath. In addition, Shaylin practices medicine, scuba dives, plays the piano, and once rode her bicycle from the Pacific Ocean to the Atlantic. 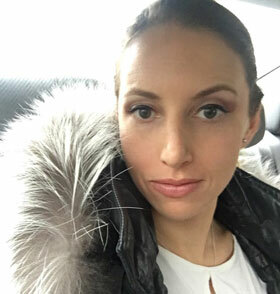 She now lives in Denver with her incredible husband, their identical twin daughters, and two adorable rescue dogs. They can usually be found in the mountains, either hiking up or skiing down. You can find Shaylin online at or on Twitter. Please get in touch—she would love to hear from you!